I do try to follow a recipe as it is written, I really do, but the way I see it is a recipe is there as a guideline or idea. You take that idea into your kitchen and let it inspire you to cook something magnificent. Sometimes that recipe is just what your looking for, except for that one ingredient that you don’t like or don’t have handy. For example, I don’t like cooked capsicum. I can easily eat a fresh capsicum and love it but once you add heat to the capsicum, I can’t eat it. Don’t judge me on that, every one has their own little quirks. I just leave it out. 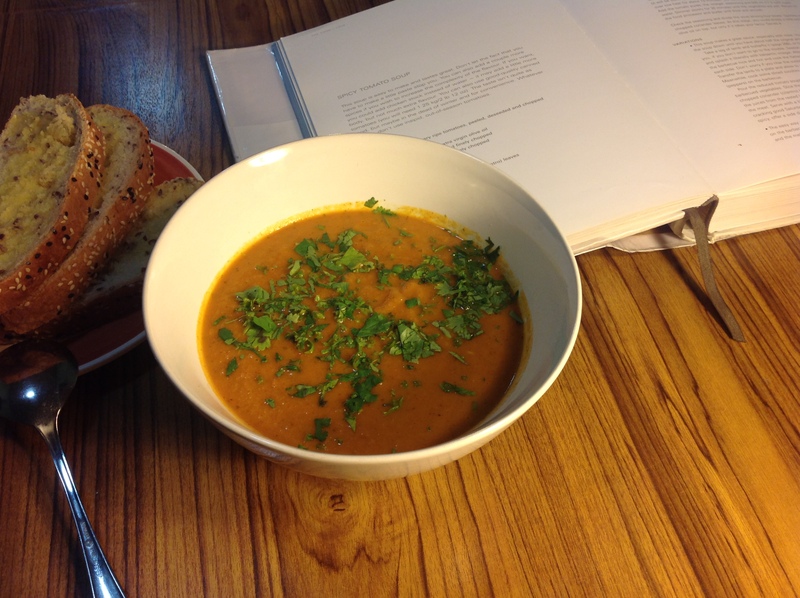 This months The Cookbook Guru‘s chosen book is Neil Perry‘s – The Food I Love and Spicy Tomato Soup was exactly what we felt like for dinner. Now, I didn’t make any major changes to the recipe, I added a little extra chilli and garlic, and didn’t have any smoked paprika so put in hot paprika and a little cayenne pepper, and of course some fennel seeds. The recipe does call for a herby, garlicky paste but it is well worth that little extra effort. 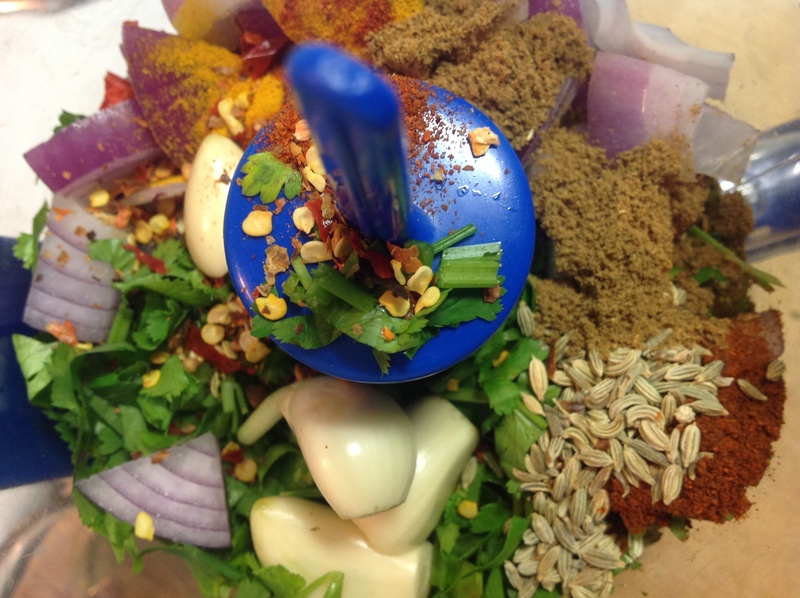 Throw everything in a food processor with a couple tablespoons of water and puree. Set aside. 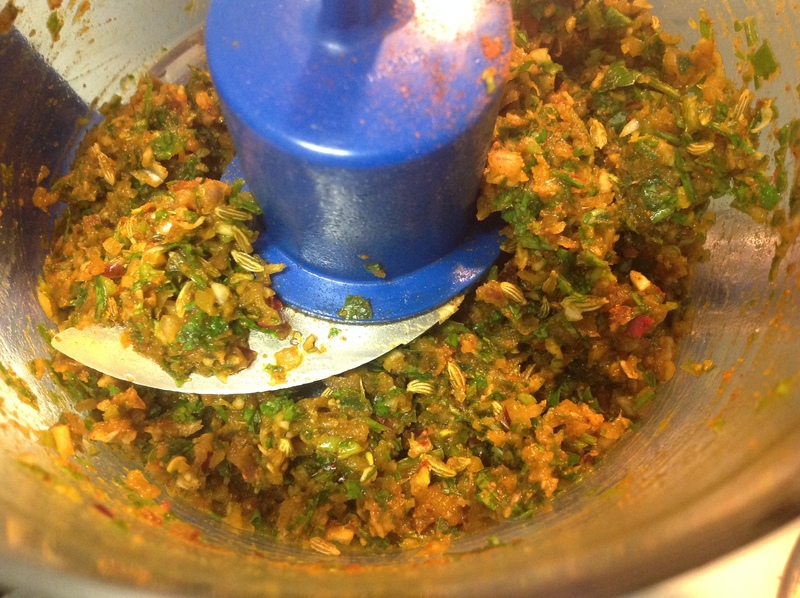 Heat oil in a medium saucepan and add the celery, carrot and herb paste. Cook for a few minutes, stirring it often so it doesn’t burn, then add the diced tomato, canned tomato, vinegar, sugar, salt and pepper and 300ml water. Bring to the boil, lower heat and let simmer,covered, for about an hour. 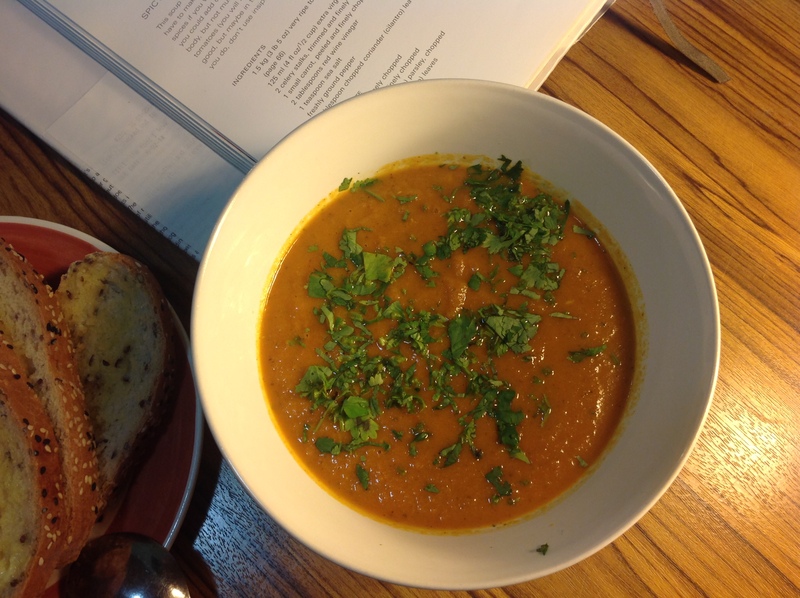 You can serve it as is, chunky style or you can puree it so you get a thick and smooth soup. I served it with a spoonful of Greek yoghurt, a generous sprinkle of chopped fresh coriander leaves and some fresh homemade bread.